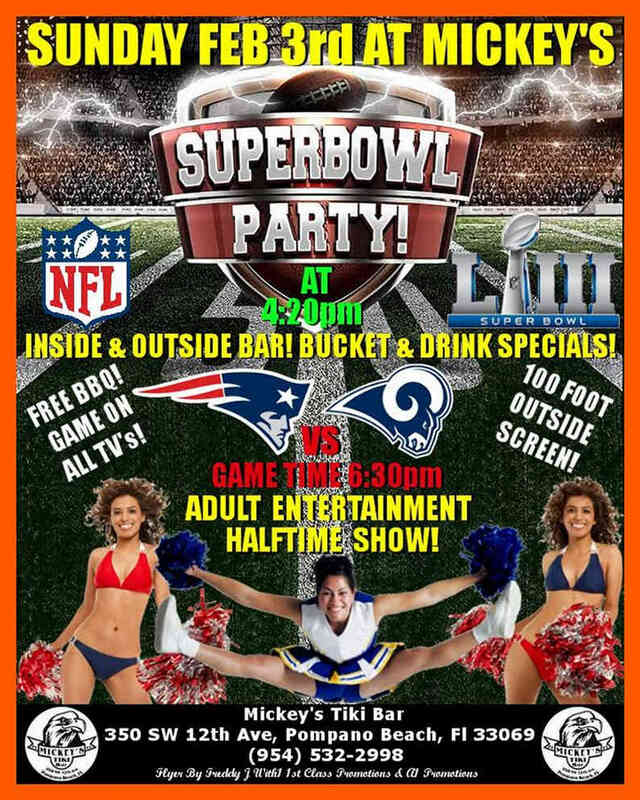 On Sunday February 3rd at 4:20pm, Mickey’s Tiki Bar is hosting “The Real Super Bowl Party! Inside and Outside Bar! Bucket & Drink Specials! Free Food and Adult Halftime Entertainment! Outdoor 100ft Screen. Plenty of Seating! Who’s your Team?